As editors, we sometimes find ourselves acting as fashion guinea pigs, testing out a new trend, tailor, or styling hack. While often it's all editorial, on occasion we're introduced to something that comes to our rescue IRL. For me, discovering blister cushions (not the most glamorous-sounding thing, I know, but hear me out) was a total game-changer when it comes to wearing heels or other pretty—but painful—shoes. I'd made it halfway through my 25-minute walk to the office when I first realised my brand-new block-heeled loafers had left me with massive, super-painful blisters on both heels. After limping my way to the office, cringing with every step, I arrived, realising that all of my desk shoes would be equally painful. Digging through my piles of miscellaneous knickknacks, I happened upon an unopened package of blister cushions, and while I assumed they were basically branded Band-Aids, I was immediately proven wrong. The gel-like pads go over your entire blister, forming a protective skin that miraculously relieves the pain, even while wearing shoes that rub that exact spot. While other products are designed to be preventative, what makes these cushions great is that they solve a problem that can be sometimes hard to predict or plan for. Now, I carry a package around in my purse, and I'm free to spend a night out dancing, knowing that if I run into any trouble, there's an easy solution. Read on to pick up blister protectors (it's worth the $8 price tag), then shop heels you can rock free of fear! Got stuck in heels while sporting painful blisters? 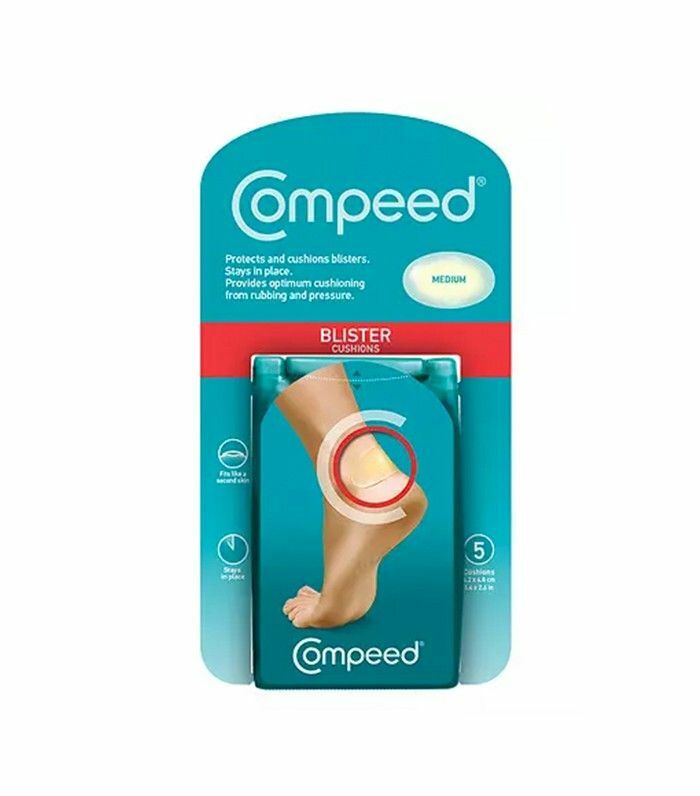 Cover the injuries with the blister pads, and prepare to feel… totally fine! While a Band-Aid simply covers the area, these cushions actually protect the blister so you can't feel pain at all. These velvet pumps are so pretty you'll want to show them off. White shoes are a major trend for fall, and we love these sleek heels. An elegant ankle boot will look great paired with slacks or skinny jeans. These pumps have a particularly fun, retro vibe. We'd wear these sleek loafers to the office, and to drinks afterward. These platform boots may look intimidating, but they're super flattering, and, let's admit it, fun. These heels easily transition from day to night. We'd describe these pumps as both fierce and elegant. If you're craving something eye-catching, these boots will do the trick. Buckle details set these heels above the rest. Need more ideas for rocking shoes sans pain? Here's how to walk in heels comfortably!